It’s taken nearly three years but finally, the National Transportation Safety Board (NTSB) has published an in-depth report into exactly what happened onboard British Airways flight 2276 at McCarran International Airport, Las Vegas on the 8th September 2015. The report sheds new light on an event which resulted in 157 passengers and 13 crew members fleeing for their lives when the aircraft’s left engine was engulfed in flames. Flight 2276 was hurtling down the runway in preparation for departure from Las Vegas to London’s Gatwick airport when the left engine suffered an uncontained failure during the ground takeoff roll. The incident happened moments before the plane was due to reach V1 – the point at which the pilots would have been forced to take off. After the plane came to a stop a large fire took hold. At the time, Captain Chris Henkey was hailed a hero after he successfully aborted takeoff just two-seconds after hearing the loud bang and feeling the plane veer to the left. 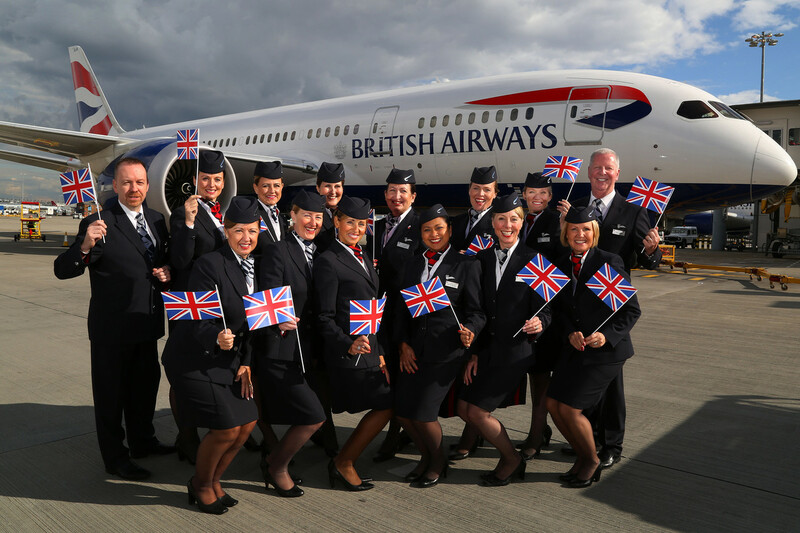 Henkey, a long-serving British Airways veteran first started working for the airline in 1973 and was preparing for retirement after accumulating more than 30,000 flying hours during his career. But while Captain Henkey received much praise of his handling of the incident, the 10 members of cabin crew who successfully evacuated all 157 passengers were pretty much forgotten. Yet now, the NTSB has found Henkey’s handling of the dramatic incident failed in several areas. New photos from the NTSB reveal just how bad the engine fire was. Possible errors including not making more effort to bring the aircraft to a halt as quickly as possible, as well as attempting to perform the “evacuation checklist” from memory – as result, the Captain failed to shut down both engines which lead to several emergency slides being rendered unusable because the thrust blew them upwards. There was even discussion between the three members of flight crew as to whether they should evacuate with Henkey saying to the First Officer “I think there’s too much fire. I think we’ve got to get out,” to which the First Officer replied: “well [the fire light] says it’s gone out.” Luckily, Henkey immediately overruled his co-pilot and ordered an evacuation. “Because the captain did not follow standard procedures, his call for the evacuation checklist and the shutdown of the right engine were delayed,” the NTSB report reads. Noting that the right engine was only shut down when a third pilot noticed instruments which showed it was still running. The right engine continued running for 43 seconds after the captain ordered an evacuation. But despite, six out of the eight emergency exits on the Boeing 777-200 being unusable during the evacuation, cabin crew managed to get everyone out with only 19 minor injuries reported and one crew member suffering a serious injury. The evacuation took over 2 minutes – way more than the 90-second limit stipulated by the FAA, although it’s worth pointing out that the 90-second rule applies to an aircraft evacuation when only half the available doors are used. Video footage of the evacuation also shows a delay between what appears to be the last passenger evacuating and cabin crew following a short time later. One of the flight attendants said she was nearly knocked out of the door by a passenger when the evacuation first started and had to grab hold of an assist handle in order to stay inside the aircraft. During the long delay between the aircraft coming to a halt and the evacuation being ordered, flight attendants fought to keep passengers calm as they assessed the conditions around them. Flight attendants at Doors Three could see thick black smoke outside and one was about to self-initiate an evacuation as the conditions worsened. “Unfasten your seatbelts and come this way,” the cabin crew shouted as the Captain finally ordered an evacuation. By this point, many passengers were already stood in the aisles and screaming to get off the burning plane. One flight attendant saw an elderly woman knocked over in the stampede and moved quickly to pick her up and get her to an exit. Meanwhile, the flight attendant at Door 4L told investigators that passengers “just kept coming and coming,” towards his door as other exits were blocked. Despite the damage, British Airways managed to repair the plane and put it back into service. Another flight attendant was seriously injured when she slid down the emergency slide after water had been sprayed on the slide. The crew member suffered a compression fracture of the first lumbar vertebra in her back and a fracture to her left forearm. Investigators have now determined that a crack in the engine was the cause of the failure – although they note that at the time of the accident, it was not a requirement for airlines to check the part that failed. The engine manufacturer, General Electric, says it has now introduced a process to check the part in the future. Surprisingly, despite the extensive damage, the plane was repaired and is once again flying for British Airways.